After a brief split of six weeks, Gigi Hadid and Zayn Malik spotted kissing and hanging out in NYC. Millions of hearts were broken when Gigi Hadid and Zayn Malik announced about their break-up a month ago on social media. Just last month, the couple announced about their split and now we see the photos of Gigi Hadid and Zayn Malik smooching and hanging out in NYC. 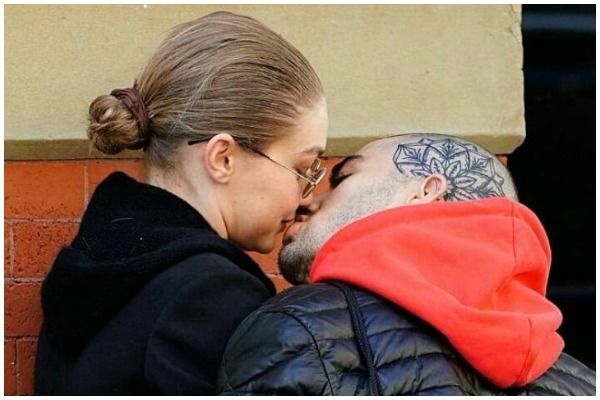 As per the reports from TMZ, Malik and Hadid were spotted hanging out on Sunday in New-York and the photographers were quick to capture couple’s PDA. In the picture, Gigi Hadid and Zayn Malik are seen smooching, looks like the old romance is rekindling, once again! It was only a month ago when the fans were shocked with the couple’s sudden split and literally cried out loud on Twitter. Now this kiss of Malik and Hadid is literally calling out for mixed reaction on twitter with some fans being upset for their on-off relationship, while some are happy to see the couple is reconciling. Going through all these mixed emotions, we think Malik and Hadid should stop fooling their fans with their on-off relationship behaviour.